Argan Oil, I got Argan Oil! Let me stop riiiiiight there. I really can't stand that song, but it made it's way onto my Spotify gym playlist, sooo....there's that. Actually, the inspiration for this post (and the graphic, of course) came to me as I was on the treadmill listening to this very song. After hitting my cardio, I went to the restroom, and as I was washing my hands, I checked the mirror. My wash and go curls were still on point, even though I had been sweating like a crazy woman. I said to myself, "Okay Eco Styler, I see you! ", and went on about my workout. When I got home, my curls were still standing. Next day, same thing. Day after that, same thing. Because the intensity of my workouts has increased something serious, I've found myself in a must-wash situation by day 3, and sometimes day 2. I don't sweat a whole lot in my scalp, but sometimes my beloved curl definers can't keep up with the demands of 30-40 minutes of intense cardio, 45 minutes of weight training, and sauna time. 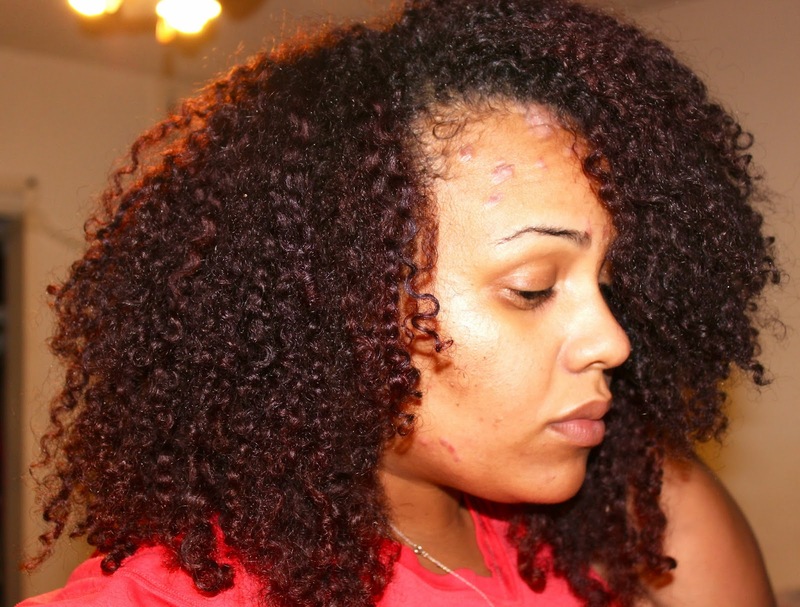 This week, I was forced to face a hard truth (that I had been trying to avoid): Eco Styler Argan Oil Gel just might be my HG curl definer for 2015. Hair looking like this after 3 days of crazy workouts!!! Before I sat down to write this post, I thought long and hard about what I was going to say. Yes, 75% if the YouTube tutorials I see for wash and go's involve Eco Styler Gel. Heck, MahoganyCurls dedicated an entire video to decoding the different colors and hold levels. But I wanted to be above the fray (so to speak), and I became obsessed with finding other gels that would work just as well (if not better) than Eco Styler Argan Oil Gel. And the truth is, although I would stray (and develop an affinity for some other gels, like these here from my Christina's Choice 2014 list), I could never be without a jar of Eco Styler on hand. It was my constant, my no-fail gel. I thought of every reason why I could dislike or discount Eco Styler Argan Oil Gel -- and those same things I thought were "wrong" with Eco Styler, were the very things that made it so right for my hair. Eco Styler is much different from botanical gels -- it contains lots of synthetic ingredients. As it turns out, that's okay, because the price point of the gel aligns with the product composition. Translation: the source materials for the gel are inexpensive, and the gel itself is well, inexpensive to purchase as a result. Eco Styler is also a carbomer-based gel (which makes it super thick), and although some folks aren't fans (preferring aloe-based gels and the like), carbomer is just fine by me. In fact, I've discovered that carbomer-containing gels work best on my hair -- providing that plumped curl definition that I love. The fact that there's very little argan oil in the gel doesn't bother me -- it just is what it is. For $6 and 32oz, I won't complain. When I first reviewed Eco Styler Argan Oil Gel wayyyy back in March of 2012, I was transitioning and only looking at the gel through the lens of being an edge tamer. Three years later, I'm using it to make my curls pop. Admittedly, once I apply the gel, my curls look weighed down and stringy, but when they air dry, something magical happens. They're shiny, well-defined, bouncy, and virtually frizz free. There is a little crunch, but I don't let the gel cast bother me. I've said it dozens of times before -- gel casts help maintain the wear of the curl longer. I even used the gel here, to demo the Ouidad Rake & Shake method for defined, plump curls. As a styler, it doesn't flake, doesn't dry my hair out, and can even be re-applied to hair without causing buildup issues. Some nights, I'll dab a little more Eco Styler on my roots (after spritzing/moisturizing my hair), to help keep that area in check and avoid super fuzzy next day hair. The one thing that does give me pause with Eco Styler gel is the fact that it is so damn hard to find a product to mix it with. 80% of my leave-ins and moisturizers won't work with Eco Styler Gel. In fact, I have a very limited stash of products that do work -- like LRC Shake & Go, As I Am Leave-In Conditioner, and Be Kekoa Kukui Nectar Hydrate Conditioner. If I do decide to roll with Eco Styler Argan Oil Gel as my 2015 HG, there will be some very serious product purging in the near future. But for right now, this product junkie won't fight the funk. I'm in love with a cheapie, readily available on the ground gel that comes in a lifetime supply vat. In conclusion, if you see my "hair 411" social media posts begin to look a little predictable and boring, just know: I'm in LOVE with Ecoco! Do you share my same love for Eco Styler gel, or is it a fail for you? Let me know in the comments below! This is so on point. I, too, love the argan oil Eco Styler gel for its abilities to keep my curls plump and defined for days on end. The olive oil variation used to be my go-to, but I find that my hair is shinier, more defined and flakes less with the argan oil one. 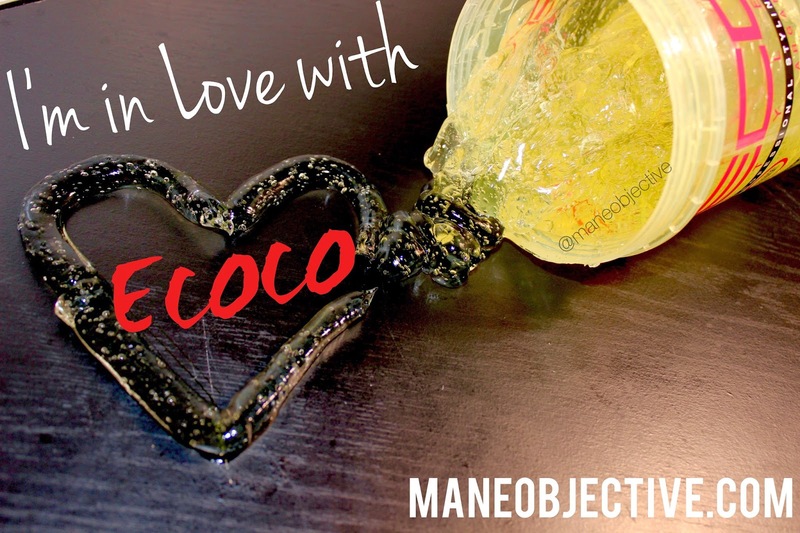 Yes I am an ecoco lover too. I have them all even the professional line. I am glad you posted because I workout everyday almost. Would you be willing to do a workout hair tutorial? A lot of women workout and could and appreciate the video. I for one definitely would. My favorite Eco is the pink one. I use it and the Nubian Heritage Growth and Strengthen Custard for wash and go. I still like the Olive oil Eco, my first love lol, but the pink has a lighter hold for my preference. I want to try the argan oil. It's next on my list. Curious to know what liquid leave ins you use. Thanks! Add on Keracare natural textures leave in, As I Am leave in, and Shea Moisture detangler. That's probably something I should have mentioned -- I wash my hair every 4-5 days (sometimes every 3 days if the heat is being unruly and I'm sweating a lot in the gym). I do notice that closer to wash day, my hair feels a little parched, but it's mainly when the air is dry like it has been the past few days out here. Whenever the weather gets like it does (disrespectfully hot before the sun is up for a good half an hour), I switch to a moisturizing gel or just use conditioner only. 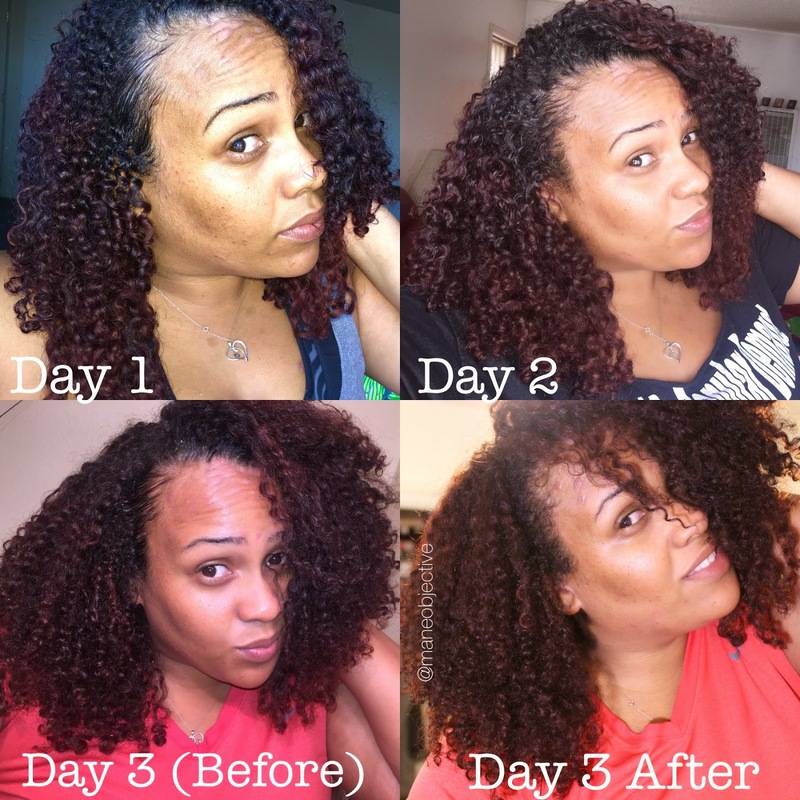 Curl Maker is one of the ones I use -- and it should definitely help you! The hold isn't as long-lasting, but that's the toss-up lol. I can never find the pink one!!!! I need it in my life! Wait.....There's a PROFESSIONAL line?! Lawdamercy, where?! Okay, now that I've got my PJ-ism in check, that is a PHENOMENAL idea! I'll definitely do a tutorial on working out with natural hair without ruining your style//looking crazy. Anything else you think I should include? Thanks for the idea! I get mine from the Beauty Supply Warehouse where I live. They have an aisle with ALL the Eco gels in all sizes. I can only find the olive oil and just recently the argan in the drug stores and dollar stores around me. Try the Xtreme Wetline gel. Xtreme contains no proteins while the Ecostyler does, which might explain the drying effects on your hair. I used to have the drying problem with eco styler until I began mixing olive oil in the gel (1/2 cup eco, 1tbsp oil). In addition in the morning I scrunch a nickel size of As I Am Double Butter Cream in my hair. This keep keeps dryness away for a full week. Girl watch out who you're buying products from! This brand is associated with that fraternity Phi Delta Theta, the one that's all over the news for their ongoing sexual/harrassment cases! Please do not support them!